The Pound South African Rand (GBP/ZAR) exchange rate is down by 0.5% today and is currently trading around R18.6816. 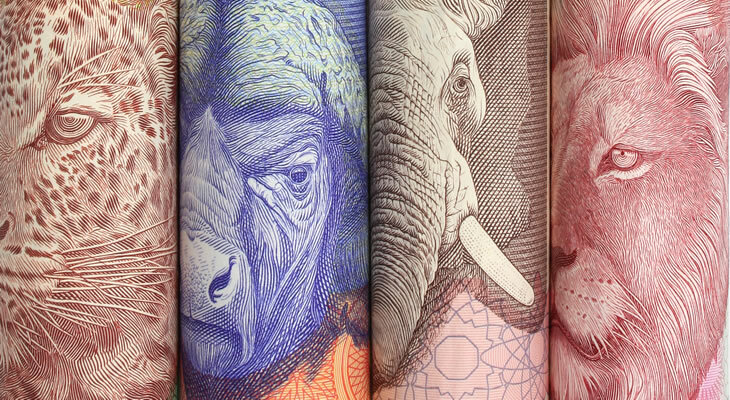 The South African Rand (ZAR) edged higher against the Pound (GBP) following the publication of the South African Consumer Price Index figures for February yesterday, which improved against January’s -0.20% to an encouraging 0.80%. These were followed by the year-on-year CPI figures for February, which also increased above forecast. The South African financial consultant, TresuryONE, commented that this may encourage the South African Reserve Bank (SARB) to hold its interest rates next week, buoying market conference in ZAR. Today is Human Rights Day which is a bank holiday in South Africa, leaving many ZAR traders to focus on geopolitical developments instead. Sterling, however, has plummeted against the South African Rand today following Prime Minister Theresa May’s televised statement last night, in which she once again urged MPS to back her deal, and insisted that a delay to Brexit would be shortened to 30 June. The Pound is continuing to be weakened by fears of a no-deal Brexit, with the vote next week – which will determine the success of May’s withdrawal agreement – becoming a ‘make or break’ situation between the UK and the EU. Today, meanwhile, saw the publication of the UK retail sales figures for February which increased above the expected -0.4% to an encouraging 0.4%. Year-on-year retail sales for February also increased to a better-than-forecast 4.0%. The Bank of England is also due to announce its interest rate decision today which is expected to hold steady at 0.75%. However, with Brexit news continuing to occupy the spotlight, this is expected to be overshadowed by further developments. The South African Rand has benefited from improving relations with its largest trading partner, China, following the electronics manufacturer, Hisense, investing up to US$5 million in the South African economy. However, both Trump and many traders have remained optimistic that the two superpowers will come to a consensus in the coming weeks. There are no significant UK economic data releases until next week, with many Pound investors instead focusing on Brexit developments. Any signs that MPs will be willing to back Theresa May’s withdrawal agreement ahead of next week’s vote, however, would prove Pound-positive. South African Rand traders, meanwhile, will be paying close attention to trade talk developments between the US and China, and with any signs of an emerging consensus we could see the risk-averse ZAR/GBP exchange rate rise further. Previous ArticlePound US Dollar (GBP/USD) Exchange Rate Forecast: How Will the Fed’s Rate Pause Impact the US Dollar?